Penn State received its first pledge of national signing day when three-star Florida wide receiver TJ Jones committed to the Nittany Lions. Jones made his first trip to campus the weekend of January 26 for an official visit, and he picked Penn State over Indiana and Texas A&M, among others. He made the announcement at his high school in Lake City, FL. The wide receiver joins fellow four-star prospects Noah Cain and John Dunmore as the third pledge in the class of 2019 from the Sunshine State. 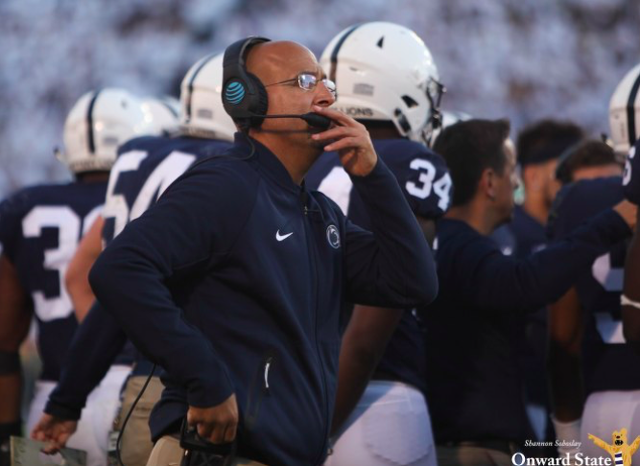 Running backs coach JaJuan Seider has instantly become one of Penn State’s strongest recruiters since joining James Franklin’s coaching staff last January. Although he’s not considered a blue-chip prospect, Jones reeled in eight touchdowns and 833 yards during his senior year. His high school, Columbia, played one of the hardest schedules in the country, including matchups with IMG Academy and Trinity Christian. Jones is the 23rd commitment in Penn State’s class of 2019, a group which is making a strong push to overtake Michigan as the top recruiting class in the Big Ten. You can watch Jones’ highlights from his senior season here.